First, I’m happy that Arizona got rid of the legislation that would have legalized discrimination. “William Penn, for whom our Commonwealth is named, established Pennsylvania as a haven for those seeking freedom of conscience and freedom to worship. These ideals have been debated and reexamined throughout our history and remain timely and important today. I believe that in a modern Pennsylvania we must be vigilant in protecting individual rights of conscience and those who live and act based on their sincerely held beliefs. That is why I believe that the time has come to propose an amendment to the Commonwealth’s Constitution that will strengthen right of conscience protections for all Pennsylvanians. Specifically, I plan to propose a new section in Article I – the Pennsylvania “bill of rights” – that will prohibit government from punishing an individual or entity if the individual or entity makes hiring or other employment decisions, or provide services, accommodations (including housing accommodations), advantages, facilities, goods or privileges based on sincerely held beliefs. Further, under my proposed constitutional amendment, an individual or entity may not be found to have discriminated in making employment related decisions or providing services, accommodations, advantages, facilities, goods or privileges if the action was based on the sincerely held beliefs of the individual or entity. We must be vigilant in protecting this core founding principal of our Commonwealth. I believe that my proposed constitutional amendment will serve to ensure that the actions of our modern-day government do not infringe upon individual rights of conscience. A good take down on why Denlinger is merrily pandering away and wasting everyone’s time can be found here in a blog post by John Micek, Opinion Editor of the local paper, the Patriot News. However, I want to take a look at this nonsense and use the wonderful powers of ridicule against its utter wrongness. Denlinger wants to protect the rights of people to do whatever their “conscience” tells them to do and whatever their “sincerely held beliefs” tell them to do. Whatever language he will propose (supposedly under review by “constitutional law experts” at this very moment), will keep government from punishing any person or entity who intentionally discriminates in employment decisions or providing various services. It also will protect them if they intentionally discriminate against people in giving “advantages” and “privileges”; I’m not quite sure what those words mean in this context but it certainly does sound vague and broad. He also seems to want to declare that no one can say that a person or entity can be called discriminatory even though that is exactly what they are doing. Shades of 1984, if we declare that discrimination isn’t really discrimination, we can pretend that it isn’t happening. Rep. Denlinger claims to be shocked that anyone could possibly thing that his proposed legislation would lead to discrimination “Most disturbing to me is that some have chosen to portray the bill as being an open door to renewed discrimination.” Rep. Denlinger, people think it will lead to discrimination because that is *exactly* what you are proposing to legalize. Just because you don’t want to call it discrimination doesn’t magically make it something else. “What’s in a name? That which we call a rose by any other name would smell as sweet;” or stink like this legislation does. Denlinger of course hides behind the skirts of William Penn, a Quaker who did indeed create Pennsylvania as a place of religious freedom. Alas, Rep. Denlinger doesn’t seem to realize that religious freedom can only be practiced until it hits upon the freedoms of another human being. Let’s take a look at what it would “really” take to make this law work. If you want the right to discriminate and not be “yoked” to those who don’t agree with you, we need a few ground rules so we know who you don’t want in your stores, your neighborhoods and anywhere else. And again, this is entirely to ridicule those who want such things as Denlinger’s proposal. Some may claim I’m on the verge of, or sliding down, a slippery slope fallacy here, but we know that the only societies that have approved of baseless discrimination weren’t the best examples of human civilization. Is it so hard to see where this could go again? First the general public needs to see just who is taking advantage of this “freedom”. Most of us usually don’t want to be where we aren’t wanted. There needs to be a uniform set of signs that you can put up so everyone can see who isn’t wanted where. Maybe we can even have degrees of how much you don’t like a group by the degree of bigoted term you use on your signs. For instance rather than just saying “Homosexuals not served.”, you can go with one of the many nastier terms for homosexuals. Then everyone can really know just how much of a jackass you are. Another problem is how do you tell if someone is part of a group you don’t like? You won’t know if those people you don’t like are daring to use your services and they might be infringing on your “freedom”. Granted, some attributes that you don’t like are hard to hide, like skin color, but what about the LGBT person who isn’t the stereotype that the righteous bigot expects? Indeed, what about atheists? Can you tell if I’m an atheist just by looking at me? What about people of different religions? Hmmm, do we need to wear badges so you can be “free” to know who to chase away? Shucks, how dare the US government support the idea that all people are created equal and expect Americans to follow that. And the claims of persecution… Really, Rep. Denlinger? You’re persecuted if you can’t discriminate against anyone that is different than you? 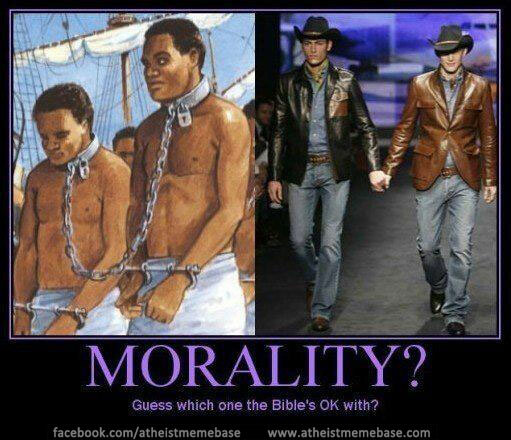 Such “wonderful” traditional values you have. Oh noes, I can’t punch someone in the nose so I’m persecuted! Sigh. As always, it seems that so many of these people who claim persecution have no idea what persecution is. Theists of various types can and are persecuted in various places around the world, including being killed for what they believe by other theists. To claim persecution here in the US, where there are hundreds of radio stations and tv stations entirely devoted to religions, where there is a tax exemption for religions, where religious institutions do not have to follow most, if not all, anti-discrimination laws, and where there are multiple churches, synagogues, temples, mosques, etc in every community, is ridiculous. No one is saying that anyone has to give up their “sincerely held beliefs”. You can be as much of a prejudiced twit as you want, in your home, in your church, or at a rally or online. You just can’t try to have your cake and eat it it too when it comes to interacting with a free society. You can hate me as much as you want but you can’t interfere with my life. I would take a moment to point out a certain sentence to Rep. Denlinger, a sentence of his own: “I believe that in a modern Pennsylvania we must be vigilant in protecting individual rights of conscience and those who live and act based on their sincerely held beliefs.” Sounds great doesn’t it? But as always, such interest in individuals’ rights only seems to apply to one group of people, e.g. Rep. Denlinger’s “social and religious conservative neighbors”. For someone who is so concerned with individual rights and the ability to practice one’s beliefs, he does his best to make sure those who he doesn’t agree with don’t have that freedom at all (he was a co-sponsor on HB 2381 back in 2006, one of the first attempts to get a constitutional ban on marriages other than what Denlinger et all want as marriages. He was also a co-sponsor of good ol’ Rep. Metcalfe’s 2013 bill HB 1349 trying the same thing last year *and* a co-sponsor of the “turn your head” ultrasound bill). Why can’t other people believe what they want and do what they want, Rep. Denlinger? Some religious believers have no problem with gay marriage and you have repeatedly taken away their right to do what they believe so who’s religious freedom are we talking about here? Certainly not everyone’s. Again it seems that yet one more TrueChristian is trying to legislate his beliefs into law. 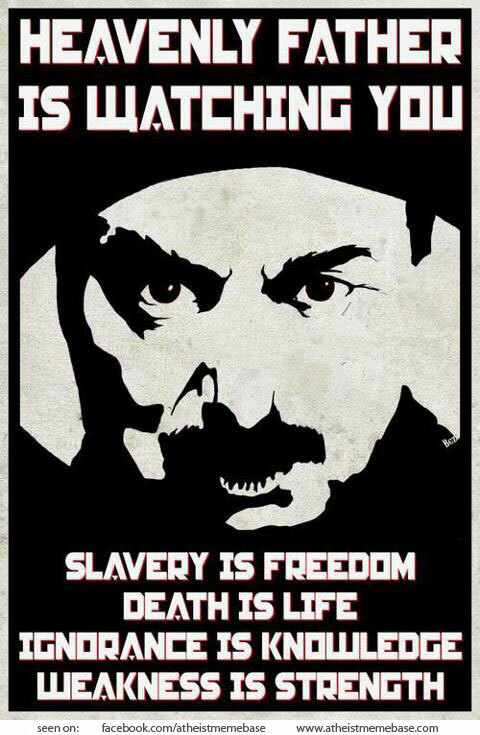 There is no concern for real freedom here, only the usual attempts at controlling others. It’s frightening that the Conservatives there have embraced stupidity to such an extent. You can’t have a healthy political system if one side is categorically insane. that is indeed problem here. It’s a shame how much time and resources need to be used to resist them.